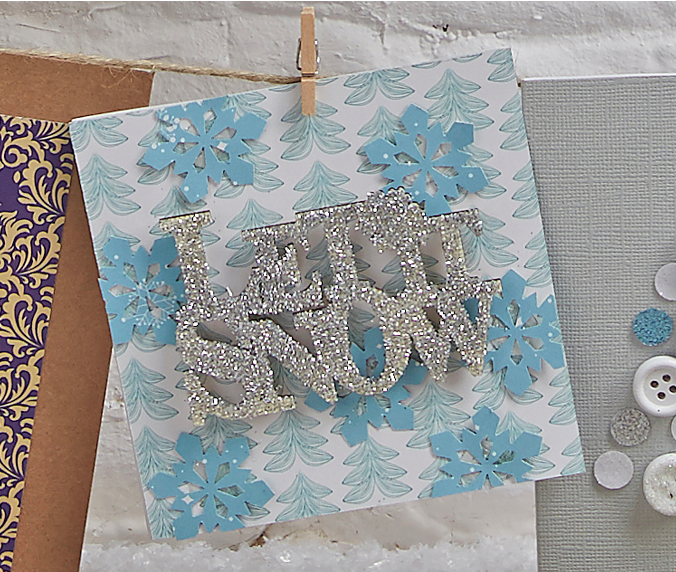 Home / Christmas Arts and Crafts / Want to make your own Christmas Cards? If you have often thought about making your own Christmas cards but have put it off because you can’t find the time or don’t know where to start this may be a blog for you. So many new hobbies start with buying all the kit you need related to the new hobby only to find 6 months down the line the kit hasn’t made it’s way out of the original packaging. So how do you avoid this? I think it is really important not to try and take on too much. Set yourself a reasonable target such as making cards for close family members only. You have over three months to complete your cards and if you only spend evening a week card making you should have enough cards to achieve your goal. A new hobby should be exciting and fun, not a chore. To make a start you need some guidance. I found an excellent guide on the createandcraft.tv website. It starts by taking you through card shapes and then what you might use to decorate your cards. This looks like a good place to start. It does, of course, have links to purchase supplies so it would probably be sensible to set a budget so that you don’t get carried away and end up with lots of large crafting packs that you don’t know what to you do with. There are of course many card creating books available which again with be worth a look at either through your library or a bookshop. Why not buy a slightly used version from Amazon with this Card Making Book if want to save your money for glittery Christmas tree embellishments.